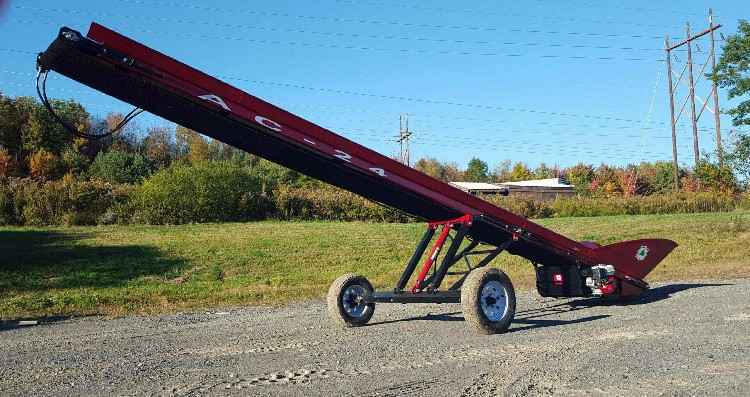 The Automated Firewood conveyor is durable firewood conveyor that is available in 16’, 24’ & 32’ lengths. Conveyor comes standard with a 20” wide smooth rubber belt conveyor, with a paddle belt available as an option. This product is designed in direct response to our customers’ need for a reliable firewood conveyor that contributes to efficient production for any firewood operation Power Pack: Our power pack consists of a quiet, reliable fuel efficient Honda GX – 160 engine along with a Parker gear pump providing reliable operation for the lifetime of the machine. The unit is capable of propelling the belt at up to 350' per minute. Hydraulics: We utilize high quality Parker hoses and motors to allow for flexible speed, durable operation and years of trouble free service. Ribbed Belt: This option allows an operator to move material more efficiently and in all-weather at steeper angles. Debris Separator: The optional debris separator is a series of discs that rotate & when mounted on a conveyor, separates the fines and the kindling from your wood, to improve customer satisfaction and product handling, & remove unwanted waste & debris from your cut & split firewood. 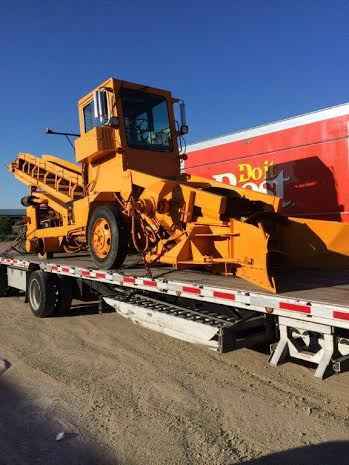 Oversized Hopper: This option allows an operator to load firewood, mulch or any other material of similar density into a full height semi trailer with smaller loader such as a skid steer. This option also adds a jack and torsion bar suspension to improve on road performance and overall machine flexibility. Shipping and financing available. Contact Kelly @ 218-720-0933.